1. Article Name.eyeliner tube CS2015 2. Be applicable: The empty package for Liquid Eyeliner cosmetics or other ink or gel products. 3. Packages decorate can be accepted on the packages surface,(can do according to customer's request) 4. Customized Printings can be accepted on the packages surface, like UV, silk printing, hot stamping. etc, just moq 1000 doz. Different qty will be in different price. Contact us if you need more details on Eyeliner Tube. 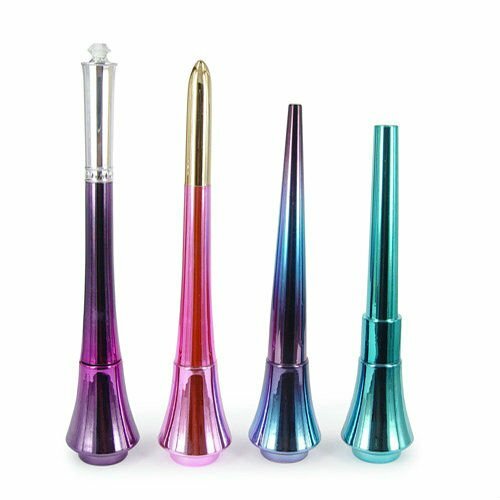 We are ready to answer your questions on packaging, logistics, certification or any other aspects about Eyeshadow、Eyeliner Series. If these products fail to match your need, please contact us and we would like to provide relevant information.